Today was the funeral of one of my best friends. I knew her since I was 11 or 12, saw her nearly every week, talked to her on the phone, went shopping with her, went out to eat - the works. It didn't matter that she was 63 years and some months older than me. She was like a third grandma and a great girlfriend all in one. Her name was Irene Anna Ulanowski, and she was born on August 7, 1927, in Hamtramck, Michigan, as the fifth child and second daughter of Anthony and Anna Kotowski, staunch Polish Catholics. Her parents decided to name her Anne Marie, but their oldest, seven-year-old Janina, was so excited and kept exclaiming "my Irene!" that then eventually settled on a compromise (apparently the three boys in between Janina and Irene, Chet, Hank, and Stanley, weren't outspoken enough on the name topic to have an influence). Anna Kotowski had been born in Poland in 1902 but was sent to the United States as a young teen by her family. She worked at a boarding house-type business run by relatives but they did not treat her well and she considered returning to Poland. The outbreak of World War I put an end to those plans, and eventually she met and married Anthony Kotowski, an American of Polish descent who was born in 1891 in Detroit's Poletown. They had five children in seven years but only four lived to adulthood. Janina, always tiny and petite (she wore size 5.5 shoes! ), contracted pneumonia in the winter of 1937 at age 17 and, in those days before penicillin was discovered, did not recover. Her ten-year-old baby sister remembered her wake clearly: "She was buried in a bridal dress. She looked like an angel." Irene and Janina both had dark hair, and I'm guessing blue eyes ran in the family, but there the similarities in looks ended. Janina had taken after their 5 foot 2 mother, while Irene took after their taller father and even inherited his nose. The Kotowski kids went to the local parish school, where Irene remembered a small, somewhat stout nun named Sister Mary Magdalen who had to wash out her blouse when the boy sitting behind her dipped her long braids in his ink bottle! (The kids were seated alphabetically – I think she said the boy’s name was Hank Kuehl or something like that.) Sister used to be very strict on the boys, and they got paddlings when needed. No wonder kids turned out better back then! 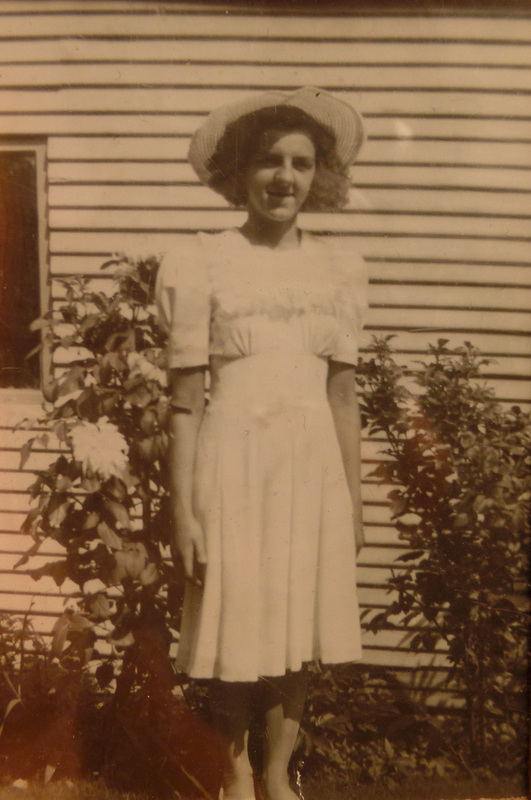 World War II began while Irene was in middle school, going on to take a heavy toll on her high school years. Many boys she knew enlisted, and she had a high school sweetheart who never came back from the war. Irene's frugal mother used to make most of her dresses, but some of it had to do with the fact that Irene was tall and twiggy - 5 foot 10 and only 120 pounds! She wasn't exactly pretty, but there was a liveliness to her and a sparkle in her blue eyes. She had many girlfriends and they would often ride together to parties and dances in the Detroit area. Irene didn't have a car, so she and the other girls would chip in for gas for the girl who drove. If they went somewhere together, their rule was that everyone left together to make sure no one was ever left in a questionable situation. After graduation, Irene got a job at Hudson's Department Store in Detroit where she worked for several years. Marriage did not seem to be in God's plans for her, so she was considering making a more committed career move by becoming a buyer, but an older friend who was already in the field told her enough about it that Irene gave up the idea. She was 24 when she went to the wedding of a friend where she met a tall, thin young man named John Ulanowski, who was a cousin of the bride or groom. John was 31, the youngest of six children and the only boy in a family with five girls, and he always claimed that it was love at first sight for him. 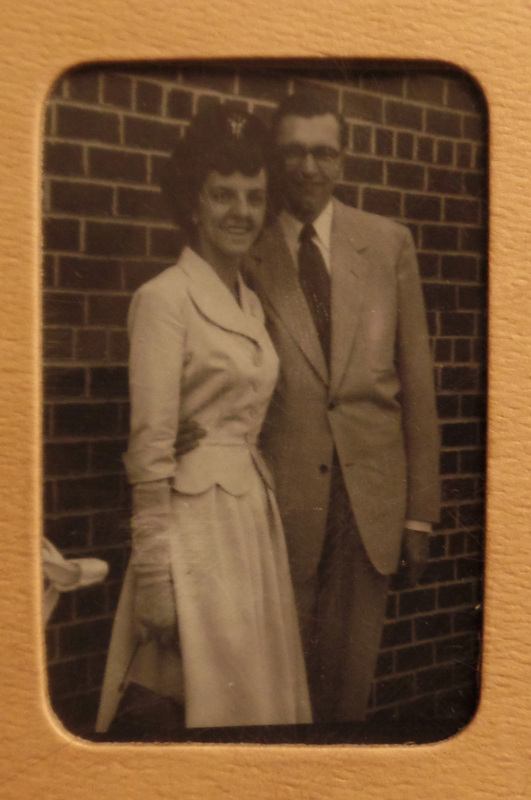 He courted Irene for the next few years and they were married on May 24, 1952, at St. Hyacinth's in Hamtramck. Irene's dress had long closefitting sleeves and a stand-up V collar, with tiny buttons down the back. She carried cala lilies over her arm and wore a headpiece of wax orange blossoms with her silk tulle veil. I have a picture of their wedding photo somewhere so I will have to add it when I locate it. It's a lovely picture, with her long train swept around her feet and John standing behind her. Irene always described "my John" as easygoing and a wonderful husband who got her yellow roses (her favorite) for their anniversary. He had a good job in the automotive industry and they bought a nice house in Sterling Heights. Along with several friends, they formed a group of eight couples - enough for two full squares in square dancing - who would meet at each others houses for various holidays. Irene often got St. Patrick's Day, and one time when they had a costume party around Halloween they had a blast dressing 6 foot 3 John up as a bride, complete with wig and veil, while Irene wore a tuxedo. The other couples also "switched," resulting in a lot of laughs when John was called out to help a neighbor while wearing his costume and one of the other men swished his skirts as a gypsy dancer on the basement dance floor. Irene and her brothers at their parents' 30th or 40th wedding anniversary. 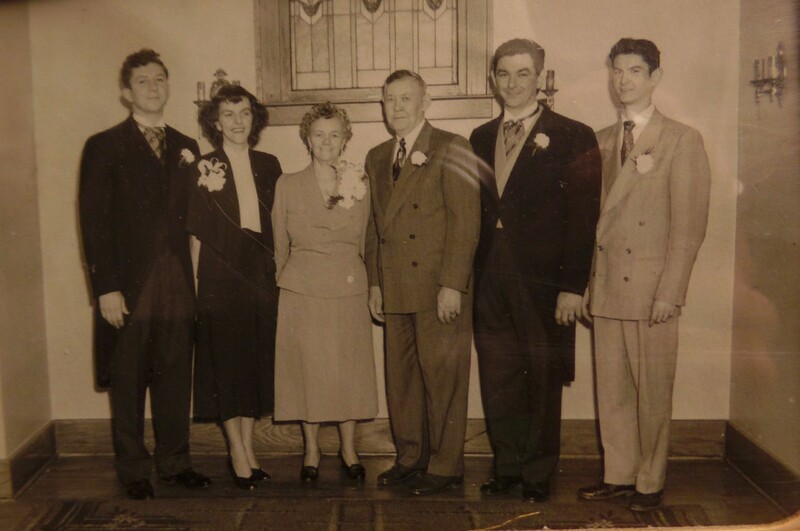 While John and Irene were never able to have children of their own, they became godparents to a gaggle of nieces and nephews as their siblings married and had their own kids. John and Irene often helped families that were struggling, either by taking in their kids for a while or by babysitting for free. John would get down on the floor like a horse and rough house with the kids as if he was a big kid himself. They were “Uncle John” and “Auntie Irene” and loved it. At one point they were urged to look into adopting babies from Mexico, but Irene was afraid that the children would face a debilitating amount of racism and the idea fell through. Irene was old school and enjoyed decorating her house nicely, with cream Provincial furniture and gleaming china cabinets. She loved fine crystal and collected small porcelain figurines here and there, especially dainty ballerinas. She babied a big grandfather clock along for years, even in her senior apartment, and it kept excellent time with a wonderful musical chime every quarter hour. She never lost her love of traditional Polish food, from Krakus ham to Paczkis (which she told me the singular was paczek – never knew that! – only a week before she passed away). Raspberry was her favorite flavor. She was fairly fluent in Polish, able to read and speak it. One time at church we had a seminarian from Belarus visiting, and he and Irene talked in Polish for at least an hour! I didn’t understand a word of it. Irene was uncomfortable with the changes to the Mass that came in the wake of the second Vatican council, especially communion in the hand, and she was supported by her cousin, Father Thaddeus James Stringowski, who came back to the United States after spending time in a Polish concentration camp. Fr. Stringowski strongly decried the lack of reverence everywhere, butting heads with Archbishop Dearden of Detroit until he was no longer welcome at diocesan rectories. Irene and John would take him in and provide for him for weeks at a time, putting him up in their extra room and getting him little things like shorter pajamas because he was a tiny man. He suffered to an extent from what people today would call PTSD, finding various things about peaceful life unsettling or trying after his time in Europe. When he eventually passed away after being transferred, he was buried in Albany, New York, in a cemetery overlooking the river, where Irene was pleased to see he was laid among the bishops. The church was unexpectedly decorated in the Polish national colors that day, with red and white carnations everywhere. 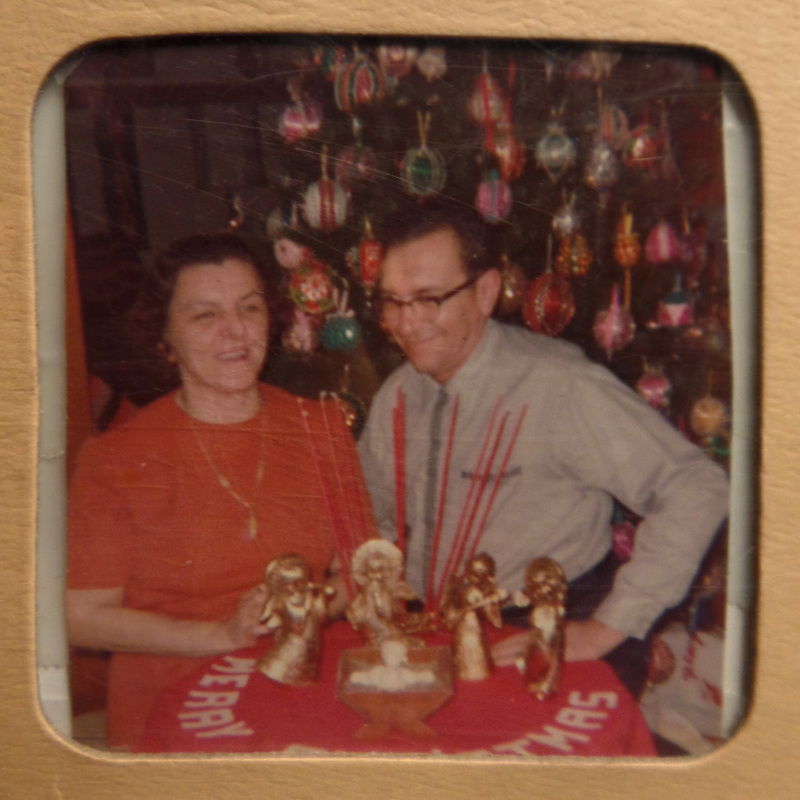 After Anthony Kotowski died in 1968, Irene’s mother’s sight began to deteriorate to the point that she could not live alone, so Irene and John sold their house in Sterling Heights and moved back to her parents’ home on McDougal in Hamtramck to take care of her. Anna experienced severe macular degeneration until she was nearly blind by the time she passed away at age 81 in 1984. Ever afterward, Irene always had a special spot in her heart for the blind, donating money to charities for them in Poland in her mother's memory. John’s health began to fail in the late 80s or early 90s as he developed congestive heart failure and suffered several small strokes. Irene took care of him at home, the same way she had taken care of her mother, although her neighbors helped out when she had to take him to the hospital. It was hard for Irene to physically lift and move him because he was such a big man, but she did her best and he rarely complained. John passed away in 1998, but his Chrysler pension supported Irene comfortably, allowing her to keep her house for over another decade until she suffered a nervous breakdown. In 2001 or 2002, fed up with the changes in her home parish and free to venture out more, Irene sought out a parish that offered the Traditional Latin Mass that she had grown up with. The place she found was my parish, Mary Help of Christians in Warren, which operated out of a made-over public school building whose wings had been converted into a parish school, a seminary, and a lovely chapel. My first distinct memory of Irene is from a gathering at our friends the Goughs’ house, where she was sitting on the back porch visiting with my mom and my godmother “Aunt” Donna. She wasn’t a typical old lady because she was tall and a bit heavyset, dressed in culottes and a blouse with iron gray hair in curls, and I warmed up to her pretty quickly because she never talked down to us kids. As the years went by it never ceased to amaze me how much we had in common. When our parish purchased a larger (formerly Lutheran) Gothic-style church on 14 Mile Road in Fraser, Irene and I fell into a routine where I would scurry down from the choir loft right after Mass to help her down the steps outside and out along the front sidewalk to her car. She used a cane since her knee gave her trouble, but she still drove herself all the way from Hamtramck every Sunday. She had a little purple car that she eventually sold to get a white SUV that was easier to get into. I remember driving with her a couple times if she was coming over to our house after church. Irene used to say that she prayed “that I be of sound mind, and body, and love my Jesus with my whole heart!” She had a deep devotion to Jesus in the Blessed Sacrament, spending time visiting with Him from her pew right in front of the choir loft pillars. She got a kick out of the tribe of red-headed Shaver kids who shared the long pew with her, especially the little curly-headed girl, Mary Beth. One time Mary Beth fell asleep on Irene’s lap, and she signaled Mrs. Shaver to let her be. She didn’t mind at all and repeated the incident with a smile for years afterward, when Mary Beth was all grown up and in high school and had moved away to Florida. Almost every Sunday before Mass, after I got her situated, she would pass me a dollar and I would go light two candles for her before the Blessed Mother statue behind the pulpit. 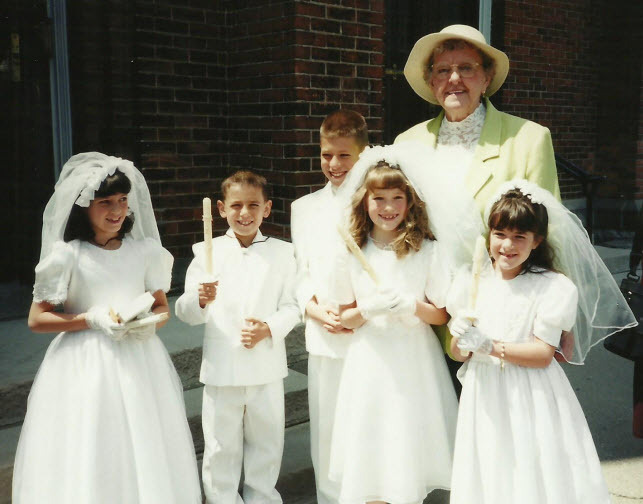 First Communion class of 2004 at Our Lady Queen of Martyrs, Fraser, MI. Irene gave each child a 50 cent piece. Irene believed in Traditional Catholicism and natural medicine with a determination that surprised many people over the years who didn't care for either. She enjoyed the benefits of chiropractic care and routinely refused flu shots, remaining triumphantly well while others of "we seniors" got it every year. She would stay in her apartment and say her Rosary instead of going to the Saturday Novus Ordo service at Oakmont Manor after she moved there in 2012, despite invitations from other well-meaning residents. She would not go down for happy hour on Fridays and would try to spend the time praying instead from noon to three in honor of Our Lord's sufferings on the cross. She always tried to remember to pray for the Poor Souls in Purgatory and was often shocked at how others her own age marginalized them or thought Purgatory no longer existed. When Sunday came around, she always dressed her best and was not shy about telling people who wondered at her clothes that she was going to church with us. Dad or I would pick her up from the senior apartments complex and take her across to the church, which was only about 20 minutes away. Irene always applied her own experiences as a senior citizen to how she thought others should be treated. If the senior apartment complex served crusty bread, Irene would wonder how on earth the other residents managed to eat it since she struggled with it in spite of her dentures (I had the same bread myself a couple times, and even I found it a bit hard to manage!). If she saw someone leading an elderly woman by the hand, she would wonder why they didn’t give her their arm for better support. She was independent and didn’t like to be beholden to anyone, paying her own way and nearly forcing reimbursement for gifts! The other thing that was nearly impossible was to leave her apartment without her feeding you something, from hard candy to cookies to leftover cake someone had given her. She would repeatedly ask, “Can I offer you something? There’s (blank) in the fridge….” She was frugal and still cooked many of her own meals, living on her own with minimal assistance up to age 88. She was a conscientious recycler and would send me home with bags of paper waste to dispose of, along with pretty issues of Birds and Blooms or clothing catalogs. One of her favorite places to eat was Brandon’s Family Restaurant on 14 Mile Road near Schoenherr. She usually got the city chicken with mashed potatoes and gravy and carrots for the vegetable. She would rave about those carrots! “How do they get them so sweet and tender!” she would exclaim. She would always save the second skewer of chicken to take home for her dinner the next day. I had lunch with her there on Ascension Thursday of 2016 only a week before she had a stroke on May 12 that paralyzed her left arm and leg. She was sitting in her recliner when it happened, so thankfully she didn't fall, and after a couple weeks at the hospital she was moved to the Wellbridge of Rochester Hills nursing home facility. She always told me what she'd been doing in therapy, how the aides used a special crane to get her out of bed, and the works. When it was warm enough she enjoyed going for laps around the outside of the building in her wheelchair, bundled up in a fuzzy "Charlie Brown" blanket. On her 89th birthday she enjoyed an amateur concert from some visiting cowboys and old friends, telling me she never expected to live to be this old. Her mind was sharp and alert to the end, recalling dates and figures and people's names with an accuracy that I doubt I could duplicate. I often had to remind her that if she needed anything it was okay to ask the nurses and aides for it, because she was so used to not making a nuisance of herself that she often forgot that they weren't mind readers! Last Sunday I got to the nursing home later than usual due to an after-Mass choir practice for Holy Week, but instead of just checking in and leaving after a few minutes like I usually did if she was sound asleep (as she usually was at 3 pm on Sunday afternoons), I waited in my car for a while to write some things down, arranged a meet-and-drop-off with another parishioner of a mending project, and finally went inside closer to dinner time. Irene woke up but seemed pretty drowsy and tired. I got her some water and we had a quiet visit for a while. I got her some Holy Water, and as 7 pm rolled around I told her I had better hit the road because it was getting late. I gave her a hug and a kiss from Mom and one from me and said goodbye and that I'd see her on Tuesday as usual. I know I told her I loved her, and she probably said "I love you" back even though I can't remember, because she almost always did. On Monday night I got the call that she had passed away. Irene on St. Valentine's Day 2017 - she saved out the flowers in her hand as I was arranging them because she wanted to give them to the nurse. She'd already left after her shift, so it took a couple days to get them to her, but Irene's thoughtfulness never ceased to surprise me. I know it sounds bad, in a way, but Irene felt more like a grandmother to me than either of my real grandmothers. My grandma on my Mom’s side lived 8 hours away in Iowa and we only saw her and my grandpa a couple times a year max. I only ever had a few real “grandma/granddaughter” moments with her – one memory that stands out is going shoe shopping, when she asked me what I thought of a shiny gold pair of pumps. My grandma on my Dad’s side lives 2 hours away in Canada and we don’t see her too often either; we haven’t been close since I was a kid and we still lived in Windsor. Grandma Irene always believed in me. She always counseled me not to worry too much about finding a good man, to be patient, that everything would happen in God’s good time. Sometimes she would say things that perfectly addressed some insecurity I had that I didn’t even realize was there. We commiserated together over the horribly skimpy standards of modern dress, how clothing isn’t usually made to fit “big and tall” women, how modern parents let their children run amok without any manners or consideration for where they are, how TV is depressing and not worth watching. We would go out for lunch and visit for hours. She died on my name day, the feast of St. Colette, March 6 - 89 years and 7 months old almost exactly - which means that for once I shouldn't have trouble remembering a date. It's just one more special link in a long, long chain. Most of all, I'm glad I stayed late on Sunday and got to visit with her and hold her hand one last time when she knew I was there. She meant the world to me and I will miss the little twinkle in her eyes, her solid Faith, her warm friendship and genuine gratitude and kindness. I knew her health was failing; I had been watching it slowly deteriorate for years, but death still tends to come as a surprise - we know not the day nor the hour. I hope that when I am her age I will be able to give half as good an example as she gave me. I'm a dressmaker, designer, & wedding consultant specializing in Traditional Catholic events and a magazine editor on the side. I want my clients to look STUNNING - not just "modest" or "okay." Together we can accomplish great things!